Well hello there Mr GQ! 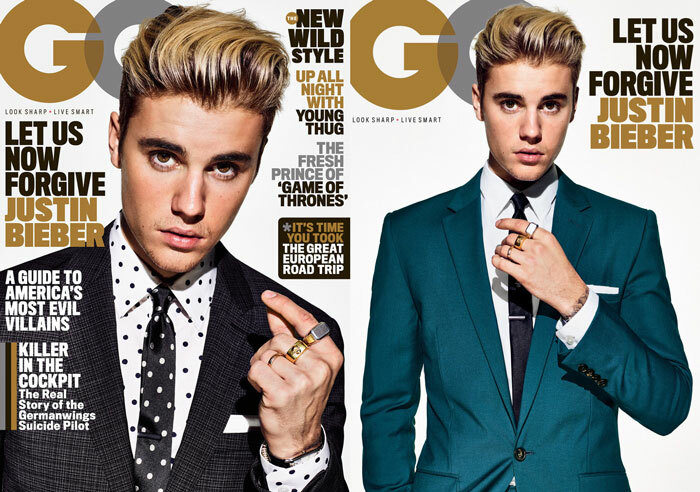 Justin Bieber has graced the cover of GQ Magazine's March issue, in an array of suave suits, one of which he wears a polka dot shirt and tie and three gold rings. Because JB was absolutely slaying this shoot so much, GQ had to opt for a double cover edition, and in the second look Bieber looks dapper rocking a fitted turquoise suit and a skinny black tie. In the interview he speaks about rumoured girlfriend Hailey Baldwin, he commented that she is, 'Someone I really love. We spend a lot of time together.' Why am I still pushing for Ariana Grande and Justin to get together? [Hint hint]!